With so many great rewards earning hotel credit cards and loyalty programs out there, it’s a no-brainer to be racking up credit card rewards points for all of your hotel stays. 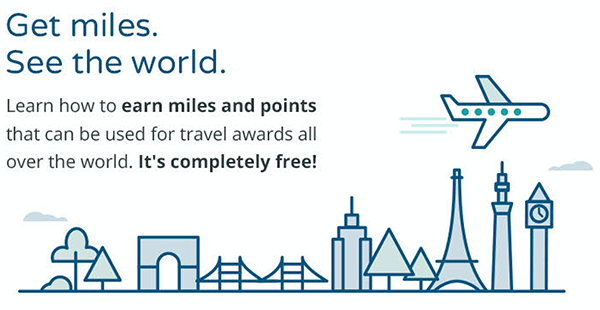 What if we told you that you could quadruple those points (or more), and maybe even get some bonus airline miles and money back with just a couple of extra computer clicks when booking your hotel? The quadruple dip for hotel stays isn’t a dream—and for most hotel stays its pretty simple. First, lets look at a quick overview of the four-step booking process (one step for each dip), then we’ll look at an example of how savvy points collectors are doing this everyday. To start, you want to be registered for whatever’s on offer for the hotel groups you like to stay with. Nearly every hotel group offers a seasonal bonus you can easily sign up for—for free—on the loyalty program section of the hotel group’s website. Quarterly bonus offers look different for every property group and change quarter to quarter, but the thing they all have in common is that they get you bonus points for something you’re already doing—just for registering! A seasonal bonus for SPG, for example, looks like this for 2018: Great Weeks, Grand Weekends. You only have to register for a offer once, and the bonus will automatically be applied when you meet the requirements. Most people don’t know it, but for many hotel bookings you can actually earn miles from an airline’s shopping program or cash-back rebates portal when you visit their website and use their link to reach your hotel group’s website as the first step in your booking. These are free miles or dollars that you literally earn for doing nothing except remembering to start clicking here-rather directly on the airline page. If you want to book a night at a Holiday Inn, for example, you can start your booking at the American Airlines shopping page. By clicking on the IHG link from this page (Holiday Inn is part of the IHG hotel group), you’ll earn a bonus of 3x American Airlines miles for every dollar you spend on your hotel stay. Spending $100 a night for a weekend away? At two nights x $100 X 3 miles per dollar — that’s a bonus of 600 AA miles you earn for free! In our experience, Mr. Rebates, Top Cash Back, and American AAdvantage have the best earning offers for hotel bookings. If you’re booking during a period when a shopping portal has a holiday bonus, you might even luck into a quintuple dip! Result: Free miles or cash back earned directly from the airline or cash-back shopping portal. Once you get to the hotel website (from your shopping portal click), make your hotel booking here using your points earning credit card. For highest points earning, you’ll want to book using the hotel branded card that matches the property group where you’re staying. When you book a stay at any brand of Hyatt, for example, using The Hyatt Card will you get 3x points for every dollar you spend. Use a different card, and you may still get 1x point per dollar, but you will miss out on the brand specific bonus. Stay at any SPG or Marriott hotel using your Starwood Preferred Guest Business Credit Card from American Express and you’ll get 2x points per dollar spent. Result: Points (and bonus points) earned in the program of the credit card you pay with! 4. Earn points from your stay. As long as you are a member of the hotel’s loyalty program, and make your booking directly through that hotel group (not a third party) you’ll also be earning points for every night you stay and every dollar you spend in the hotel. And, if you happen to have status in the loyalty program, you will most likely be earning these points in multiples –even if it’s status that you’ve got just from having your credit card. With complimentary World of Hyatt Discoverist status that you get from having the The Hyatt Card, you’ll earn 5 points for every eligible dollar you spend on your hotel bill including stays, dining, spa services and more. For a $100 hotel night, that’s 500 more bonus points! That’s a lot to take in, so here’s a practical example of how quadruple-dipping works in real life. Say you’re going to spend two nights in New York City in the Spring, and want to make a booking at a Starwood Hotel property close to Times Square. You know it’s going to be a pricey weekend, so you’ll want to max out your points earning. First, check out the bonus offers Starwood is currently offering to SPG loyalty members. You’ll want to make sure you’re signed up for the latest bonus which happens to be Great Weeks, Grand Weekends which earns you double points for stays until April 15 plus an additional 500 points when your stay includes a weekend night. Next, you’ll want to start you’re booking by reaching the SPG booking website through a shopping portal. Since we already know that Mr. Rebates offers 2% on all SPG bookings, you’ll want to visit here, search for Starwood, and click through to the SPG website directly through their link. Once you’re directed to the Starwood homepage, you’ll search for your hotels like normal. Somewhere in the magic of the internet Mr. Rebates is watching how much money you’re spending on the page they sent you to, and after your stay you’ll get 2% back to whatever bank account you have registered in your Mr. Rebates account. Use the search tool on the SPG page, to choose the hotel you want. Since you wanted to stay near Times Square, we’ll choose the W New York Times Square at a paid rate of $378. We weren’t kidding when we said that spring in New York City was pricey. You’ll make the reservation here on the SPG website for your two nights, totaling $932.76 once you add in crazy New York City taxes. If you use your Starwood Preferred Guest Business Credit Card from American express, you’ll earn 2x points for every dollar you spend, or a total of 1,865 SPG points from your credit card spend. Finally, once April comes around and you take your trip to New York, you’ll earn more points for completing your hotel stay. If you’re an entry-level SPG member you’ll earn another 2x points per dollar spent, but if you happen to have complimentary SPG Gold status from being a cardmember of the Business Platinum Card from American Express you’ll earn 3x points per dollar, or 2,796 more points! But don’t forget, you’ll be getting bonus points because you signed up for that quarterly promotion way back in step one. Remember that the bonus pays out double points per dollar spent, plus 500 points for a stay that covers a weekend night. That gives you another 2,796 points + 500 points for a total of 3,296 bonus points from the promotion. cha-ching. Now that your (imaginary) trip to NYC and Starwood stay is complete, let’s add up your earnings. 2,796 SPG points earned for your stay. That’s a grand total of 7,957 points plus $18.65 cash–a big upgrade to your earning, earned by just for taking a few extra actions. Can’t beat that. Who is ready for quadruple hotel stay earnings?